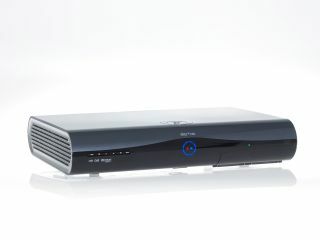 With the Sky 3D announcement still reverberating, Sky has also unveiled a new 1TB Sky+HD box, bringing a big storage boost to those who like their television in high definition. The new box brings a terabyte of storage, finally answering a major criticism of its predecessor, which didn't really have the kind of capacity to cope with anyone who wanted to record lots of HD series. The Sky+HD 1TB version will be available 28 January for the not-inconsiderable price of £249, bringing you four-times the capacity of its predecessor and slightly more chance of keeping that entire series of 24 in HD until you get round to watching it. Interestingly – the increased capacity is also rolled into the Sky Anytime functionality, giving you more on-demand – presumably until Sky gets round to rolling out its IPTV functionality. Hilary Perchard, Sky's Director of Product Management & Marketing: "We want to offer people as much choice as possible. We know customers are happy with the storage on our standard box, but the Sky+HD 1TB will appeal to people who want to watch and store even more HD TV. "Whether customers take a Sky+HD box or the new Sky+HD 1TB box, they're guaranteed a premium viewing experience that is future-proofed for Sky's 3D and video-on-demand services, due to arrive later this year."